The component has been developed for monitoring and control the size of a site and it is implemented as a widget in the Dashboard. The component shows sum of all apparent size of files. 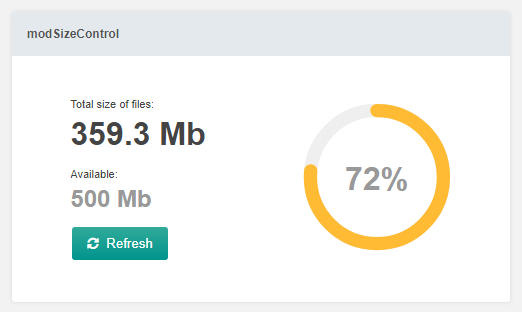 The apparent size of a file can be less than disk usage. For example, a file containing the word ‘zoo’ with no newline would, of course, have an apparent size of 3. Such a small file may require anywhere from 0 to 16 KiB or more of disk space, depending on the type and configuration of the file system on which the file resides.